For a nation traumatized by the death of John F. Kennedy, the notion that a rootless and disturbed individual could murder the president was troubling enough – but far less troubling to contemplate than the alternative possibility, that the assassination was part of a larger plot. 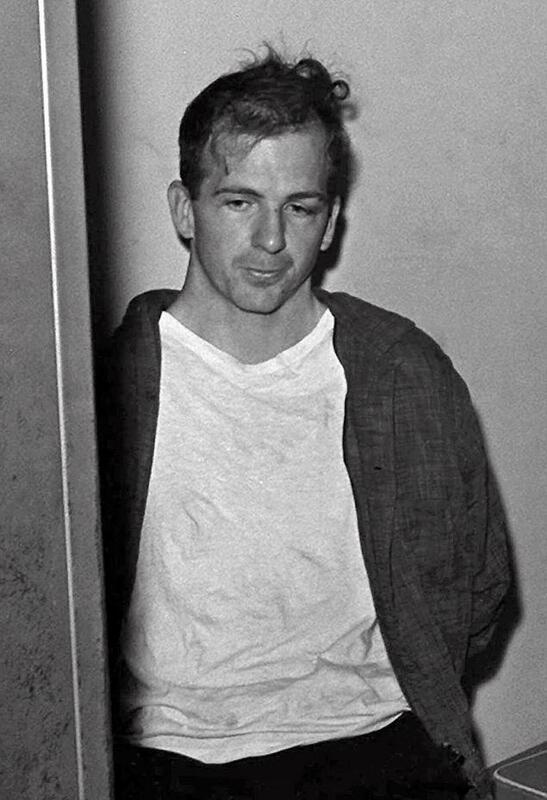 The arrest and subsequent murder of Lee Harvey Oswald provided, in today’s jargon, a grim kind of “closure” for the public, one elaborately ratified by the Warren Commission. To probe into the nexus of interests that benefited from Kennedy’s death and its connection to the events of November 22 – well, that would be the opposite of closure. The figure of Oswald, the lone gunman, was a highly questionable fit with the evidence, but neatly fulfilled the psychological needs of the country. 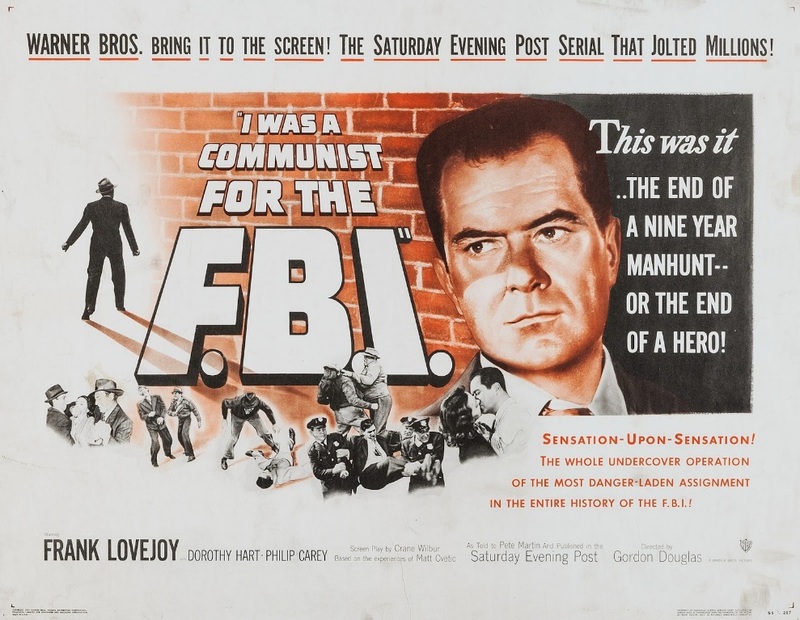 The conventional account goes like this: Oswald, an unstable person who hates the United States, begins showing an interest in Communism and seeks haven in the Soviet Union, where he works in a factory and marries a Russian woman, Marina. Disillusioned by his experience in the “workers’ paradise,” he returns with Marina to the Dallas-Fort Worth area and descends into a spiral of anger and irrationality. He experiments with myriad political causes, buys a rifle, and travels to New Orleans, where he expresses sympathy for Castro’s Cuba and consorts with a bewildering array of flamboyant and disreputable figures. He returns to the Dallas area, takes a job along the route of a planned motorcade for President Kennedy, and as Kennedy passes, shoots him. Oswald is later captured, and almost immediately is killed by Jack Ruby, a local nightclub owner with ties to mobsters actively involved in CIA-Mafia plots to assassinate Castro. Yet even as the Warren Commission was endorsing that scenario, doubts were arising. 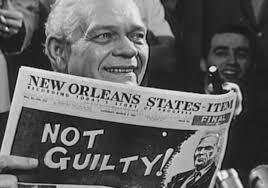 The lawyer Mark Lane, onetime New Orleans district attorney Jim Garrison, and historian David Kaiser all spent years challenging the Oswald-as-lone-assassin theory. The House Select Committee on Assassinations convened in 1976 and concluded three years later that a conspiracy was likely. Oliver Stone’s blockbuster JFK film – which chronicles Garrison’s court battle against the Warren Commission’s findings – led to the formation of the U.S. Assassination Records Review Board. 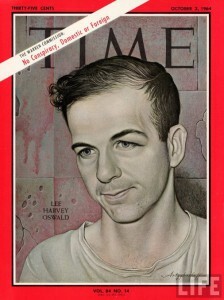 When Lee Harvey Oswald told the press after his first interrogation, “I am a patsy,” many dismissed it as the predictable disclaimer of the guilty. But what if it were true? What if Lee Harvey Oswald really had been set up as the fall guy to deflect attention from the real plotters? Most other “lone nuts” who have killed presidents or celebrities have proudly claimed responsibility for their crime, not tried to blame others. If any group of plotters were setting up Lee Harvey Oswald, they would want him to appear as both darkly mysterious and an obvious suspect. They might run elaborate tracks across Oswald’s path, to generate false leads and a thick fog of misinformation. Who would be better qualified to do this than an expert in the game – that is, someone with experience in intelligence and covert operations? Peter Dale Scott, a retired UC Berkeley professor, has documented that Oswald may well have believed that he was working at least indirectly for a U.S. government agency, perhaps related to the investigation of trafficking in unregistered guns. In his book Deep Politics and the Death of JFK, Scott shows how Oswald’s activities, starting with his return to the United States from Russia in 1962, closely tracked specific objectives of the FBI and the Bureau of Alcohol, Tobacco and Firearms (ATF). Though Texas laws in 1963 allowed untraceable over-the-counter firearms purchases, Oswald went to the seemingly unnecessary step of ordering his guns through interstate mail, which required identification and left a paper trail. Moreover, the two guns he ordered through the mail were both from companies being investigated by the ATF as well as the Senate. At the time, the ATF was housed within the Treasury Department, not the Justice Department, and thus was beyond the immediate jurisdiction of President Kennedy’s brother. If Oswald were connected to the government in any way, he would not have been high-level. Like many foot soldiers in the intelligence wars, he would not necessarily have known precisely whom he was working for, or why. Rather, he could well have thought he was on one mission while he was actually being used for another. If that were so, it might not have been until the assassination and his arrest that he finally grasped the situation. In that case, his words at his arrest might have been the most candid statement in the whole affair. All this might seem a mere exercise in speculation, but certain facts are clear: Oswald was a young man who craved guidance and purpose. His father died before he was born, and he lived for a spell in an orphanage until his mother remarried (briefly) and reclaimed him at the age of three. Not surprisingly, he seemed eager to find a father figure, escape from his dominating mother, and establish some stability in a peripatetic life that included nineteen moves before the age of seventeen. His was an upbringing that can often lead to the military, and at thirteen, Oswald became a cadet in the Louisiana Civil Air Patrol (CAP). 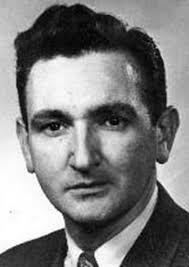 According to Collin B. Hamer Jr., who served as cadet adjutant of CAP’s Moisant Squadron in 1957, and later headed the City Archives collection of the Louisiana Public Library, Oswald was a student of one David Ferrie – a protégé of New Orleans mob boss Carlos Marcello. A number of Oswald’s fellow cadets told the House Select Committee on Assassinations the same thing. 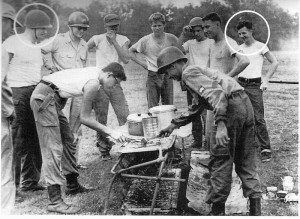 Oswald and Ferrie can also be seen together in a group photograph from a 1955 CAP training camp. 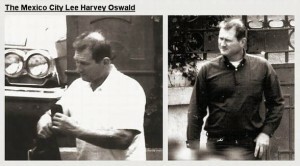 Circled, David Ferrie and Lee Harvey Oswald. CAP camp, 1955. The Civil Air Patrol was a national volunteer auxiliary to the military. Founded during World War II as a civilian organization, it played a role in safeguarding the American coastline from German U-boats and was eventually shifted to peacetime duties such as disaster relief. Its founders included two Rockefeller brothers and D. Harold Byrd, the right-wing Texas businessman and lifelong friend of LBJ’s, who owned the building that would later house the offices and warehouse facilities of the Texas School Book Depository in Dallas. The Civil Air Patrol was very much perceived as a bulwark of the cold war. A profile of the organization in the May 1956 National Geographic magazine noted that in the event of a nuclear attack, “CAP would support Civil Defense with the aerial damage surveys, radio communication, evacuation of injured, and airlift of food and medical supplies . . . [and] radiation monitoring.” It’s not hard to imagine that the impressionable young cadets might have been targets for recruiting into the clandestine services. No one should be surprised to learn that the United States ran a fake defector program during the cold war – such intrigue is a staple in the spy-versus-spy world. 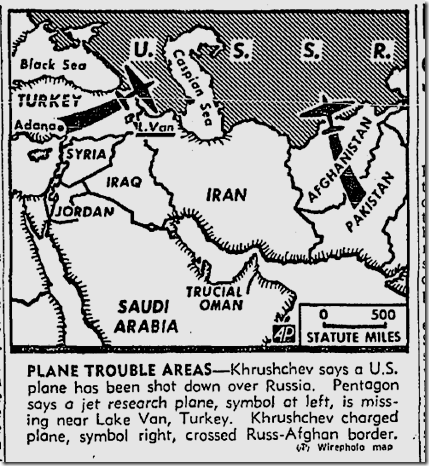 By 1957, Oswald appeared to be good Soviet bait. 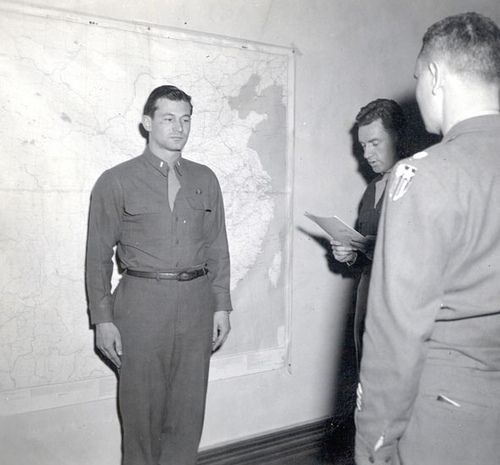 During a three-year stint in the Marine Corps, he had been briefly stationed in Japan at Atsugi air base, from which the CIA launched super secret U-2 spy planes over the USSR. 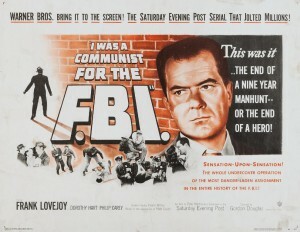 After his return to the United States, he subscribed to the Communist Party newspaper. Soon thereafter, he was on his way to the Soviet Union as a would-be defector. It was in the fall of 1959 that Oswald boarded a freighter bound for Europe. After a stop in France, England, and Sweden, he traveled to Helsinki, Finland, where he obtained a visa valid for a six-day visit to the Soviet Union. On October 16 he arrived in Moscow. He visited the U.S. embassy there to dramatically renounce his U.S. citizenship and pro-claim to the inevitable Soviet-installed microphones that he would give radar secrets to the USSR. Then he moved on to Minsk. In 1961, he met the attractive young pharmacist Marina Prusakova at a Palace of Culture dance and married her just six weeks later. Marina lived with her uncle, who was a colonel in the Soviet Interior Ministry security service; Oswald’s marriage to her only added a frisson of intrigue to his profile, raising eyebrows all around. It has certainly been cited as further evidence that he was operating for the Soviet cause. In any case, the Soviets themselves apparently never quite trusted him. In Minsk he was constantly monitored by the authorities. Later, seemingly disillusioned by what he had seen of the grim reality behind the Soviets’ stirring propaganda, he would beg the United States to let him come home. On July 28, 1960, CIA director Allen Dulles, wearing a full business suit, arrived at vice presidential nominee Lyndon Johnson’s Texas ranch to administer a top-secret briefing on national security. Such a briefing may have been customary at that time, but the soon-to-be vice president had his own sphere of influence as well – and as the former majority leader, an existing relationship with Dulles. And as would be proven later, he had no compunction about keeping his boss out of the loop. Allen Dulles’s interest in Texas seems to have picked up shortly after he left the Kennedy administration. In December 1961, he contacted a colleague still with the CIA to request contact information for agency officers based in Houston. After the JFK assassination, Johnson would bring Dulles back into government – first as a member of the Warren Commission investigating Kennedy’s death and then as a member of the Gilpatric Committee, a group of advisers on the proliferation of nuclear weapons. Since 1961, LBJ had aligned himself with the Joint Chiefs of Staff on a policy JFK was resisting – namely, their desire to send U.S. combat troops to Asia. As a result, Vice President Johnson and his military aide Howard Burris were provided a steady stream of Vietnam intelligence reports that were denied to the president. About the same time that Dulles was contacting his ex-colleagues in Texas, George de Mohrenschildt was invited to lunch by J. Walton Moore, the local CIA man in Dallas. The Domestic Contacts Service (DCS), for which Moore worked, was the CIA branch that routinely debriefed Americans returning from abroad, including from “Iron Curtain” nations. According to Edward Jay Epstein, author of several books on the Kennedy assassination, just before de Mohrenschildt died, he described his meeting with Moore. 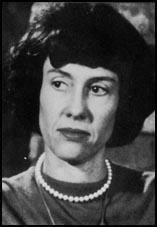 De Mohrenschildt said it had taken place in late 1961 – which would have been about a half year before Oswald returned to the United States. Moore purposefully steered the conversation in a new direction, the city of Minsk, where, as Moore seemed to know even before he had told him, De Mohrenschildt had spent his childhood. Moore then told him about an ex-American Marine who had worked in an electronic factory in Minsk for the past year and in whom there was “interest,” since he was returning to the Dallas area. Although no specific requests were made by Moore, De Mohren-schildt gathered that he would be appreciative to learn more about this unusual ex-Marine’s activities in Minsk. J. Walton Moore on the left. In the summer of 1962, De Mohrenschildt heard more about this defector. One of Moore’s associates handed him the address of Lee Harvey Oswald in nearby Fort Worth and then suggested that De Mohrenschildt might like to meet him. He added, as if it was an inducement, that this ex-Marine had returned from Minsk with a pretty Soviet wife. 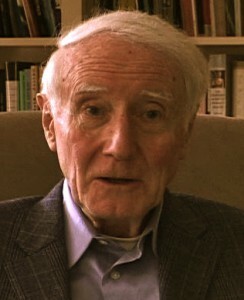 De Mohrenschildt and Moore had met a number of times prior to that, first in 1957 following a lengthy stay by de Mohrenschildt in Yugoslavia, and again after other de Mohrenschildt trips. This pattern raises the question of whether there was a formal reporting relationship between the two at the time de Mohrenschildt was asked to keep an eye on Oswald. De Mohrenschildt and Oswald are not known to have met until several months following Oswald’s return to the United States. The fact that de Mohrenschildt was neither the first nor the last person to spend significant time with Oswald in the interval between his return to the United States and the assassination served as de Mohrenschildt’s basis for suggesting that he himself could not have been involved in a plot. But that argument seriously underestimates the subtlety of the people who conceive and execute such plots. Such people would of course have known that in 1962, when Oswald returned to the United States, there was no better milieu in which to “sheep-dip” him than the Russian émigré community of the Dallas-Fort Worth area. He had spent some of his formative years locally. 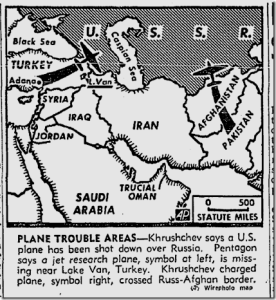 The émigrés generally were comfortable with the cold war world of cloak-and-dagger and eager to help in anything represented as an anti-Soviet cause. Collecting information on Lee Harvey Oswald – including, if necessary, appearing to befriend him – would have seemed unexceptional. When de Mohrenschildt and Oswald finally did meet, in October 1962, they must have seemed an odd pair. De Mohrenschildt was bull-chested and middle-aged – an anti-Communist, White-Russian, aristocratic bon vivant. Oswald, by contrast, was skinny, taciturn, allegedly leftist, and twenty-two years old, from a broken lower-middle-class home. His wife, Marina, was the allegedly apolitical niece of a colonel in the Soviet secret police. Yet, despite their differences, the de Mohrenschildts and Oswalds soon became inseparable. The de Mohrenschildts were devoted to the Oswalds to a truly remarkable extent; never before had they been known to take such an interest in managing the details of other people’s lives. And certainly not people as contentious and purportedly “difficult” as the Oswalds. Neither Lee nor Marina was easy to be around – and neither exhibited much gratitude. It certainly appeared a labor of obligation rather than of love. More than anything, George de Mohrenschildt helped Lee Harvey Oswald secure employment. Apparently with Oswald’s full cooperation, he subjected the returnee to a kind of reverse laundering. With each pass through the machine, another layer of soil stuck to him. An improbable sequence of jobs and living arrangements made Oswald seem more and more unstable – not unlike the classic misfits who throughout history have attempted to assassinate national leaders. And because Oswald was involved in such a range of activities in so short a time (less than a year and a half), investigators would later find it difficult to follow all the twists and turns. Oswald had a little table in his apartment on Mercedes Street in Fort Worth. I cannot remember the exact names, but certainly Karl Marx, Lenin and his works, and similar things which I do not remember. And I positively, being aghast at such an assortment, flipped over the first two-three pages, and I think in two out of three I saw the stamp of the Fort Worth Public Library. Oswald worked for a spell at a mapmaking company that handled classified work, including military diagrams of Cuba. The owner would later explain that a friend had asked him to hire Oswald. The de Mohrenschildts also took Oswald to anti-Castro meetings in Dallas. This was a prelude to the next step in Oswald’s reverse laundering, a move to New Orleans, where he behaved in a bizarre manner. At various points he appeared to be pro-Castro and then either anti-Castro or a pro-Castro person infiltrating anti-Castro groups. And there was even Oswald’s purported trip in September 1963 to Mexico City, where he supposedly visited the Cuban and Soviet embassies in attempts to acquire travel visas. Most researchers now believe that this was an impostor pretending to be Oswald – which itself seems to establish a larger plot. 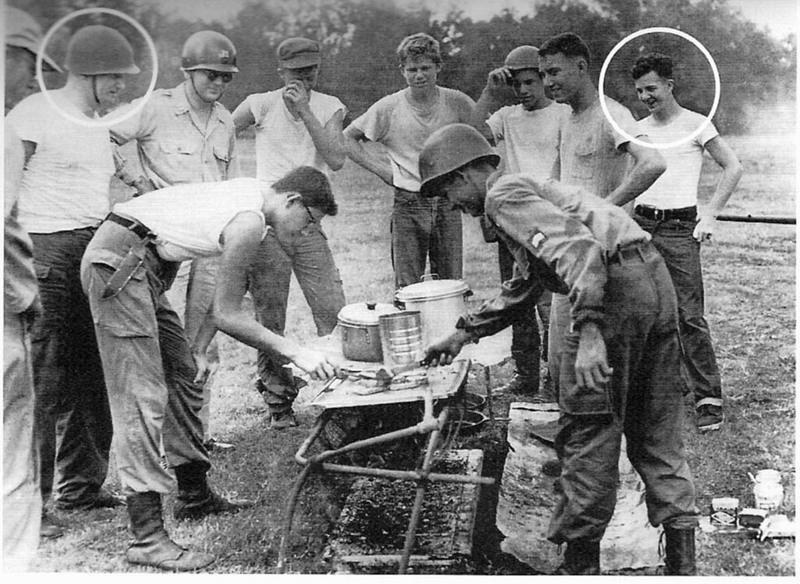 The picture became still murkier when FBI agents were ordered – by some unknown higher-up – to keep an eye on Oswald. Their intrusive inquiries with his employers created yet more static, and helped insure that Oswald’s tenure at each of these jobs was brief. Shortly after this, de Mohrenschildt handed Oswald off to yet another person, Ruth Paine, a Quaker housewife who would even chauffeur Marina from Dallas to New Orleans and back. By passing Oswald along to Paine, de Mohrenschildt could truthfully assert that he had been neither the first person in contact with Oswald upon his return from Russia nor the final person in his life before the assassination. That Paine’s mother-in-law, Ruth Forbes Paine, was a close friend of one Mary Bancroft, former OSS spy and the mistress at varying times of both Allen Dulles and Henry Luce, was probably not known to Dulles’s fellow Warren Commission members. One wonders what they would have made of this connection, certainly an indirect one yet suggestive nevertheless. If someone really was “setting up” Oswald, getting him out of Dallas to New Orleans would have been a brilliant stroke. It diverted attention from Dallas and onto a steamy locale with an irresistible cast of characters – the mob-connected ex-G-man Guy Banister, the flamboyant businessman Clay Shaw, and the lecherous gay pilot David Ferrie, to name just a few. Evidence of this is the ample number of books devoted to Oswald’s New Orleans period. Compared with the cast from the Big Easy, Texans like de Mohrenschildt, Poppy Bush, and Jack Crichton would have seemed white-bread respectable. 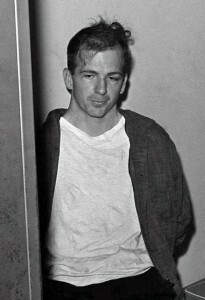 Various middlemen even arranged for Oswald to be in the public eye while in New Orleans – on a radio debate, handing out leaflets, involved in a scuffle that made it onto TV. This opera buffa would later be portrayed as the spontaneous doings of a confused (or incredibly devious) twenty-two-year-old. The next individual to take a trip through a reverse laundry was de Mohrenschildt himself. Given his connections to prominent people, in particular Poppy Bush, if de Mohrenschildt was involved in a plot, it would be especially important to create a benign explanation for his interactions with Oswald. And more important, it would be necessary to demonstrate that taking care of Oswald was not de Mohrenschildt’s principal occupation at the time. In other words, de Mohrenschildt would have needed his own “legend,” as a cover story is known in the spy trade. The facts – as they have been presented thus far – may suggest that de Mohrenschildt himself was something of a pawn, steering Oswald but unaware of the larger picture or of Oswald’s fate. However, further material, which will be presented below and in chapter 12, suggests a greater degree of knowledge on de Mohrenschildt’s part. That a cover was created for de Mohrenschildt – indeed an oversize umbrella that could encompass all the powerful people he knew – is suggested by a series of events that began right when de Mohrenschildt first met Oswald in October 1962. Anyone finding this document in government records would naturally assume that de Mohrenschildt was some kind of freelancer of intelligence, if a seemingly goofy one, obviously neither loyal to the United States government nor in its employ. The document would also provide a cover explanation for contacts between de Mohrenschildt and McGhee, mentioned earlier in this chapter as one who intensely disliked the Kennedys and who would be moved out of the State Department by a disrespectful Bobby Kennedy. On February 16, 1963, de Mohrenschildt wrote to JFK personally, again offering his travelogue. He went out of his way to say that he had also discussed the travelogue with McGhee. In April, 1963, de Mohrenschildt traveled to the East Coast for a series of meetings that, while supposedly secret, were nevertheless strikingly well documented. Thus, if anyone were to realize that de Mohrenschildt had important connections, those connections would appear to relate to the business transacted on the East Coast, and not to Oswald. Everyone associated with de Mohrenschildt would have a good explanation for why they knew everyone else. And, to make it more confusing still, this cover story would be layered over another one that was even more intriguing, and that would itself lead to a dead end. Allen Dulles once called CIA documents “hieroglyphics.” Like the old lion surrounded by his adoring cubs, Dulles used to expound on such elements of tradecraft to his fellow Warren Commission members. On one occasion, he told them that no one would be able to grasp an intelligence memo except for those involved in its creation and their colleagues. This creates endless, perhaps deliberate, obstructions for someone trying to piece together the story of the Kennedy assassination. When Thomas J. Devine, Poppy Bush’s business partner and a former CIA agent, coyly suggested to me that the problem with journalists like myself is that “you believe what you read in government documents,” he was referring to such deeply coded disinformation. On April 25, 1963, at three thirty in the afternoon, a CIA operative code-named WUBRINY/1 held a meeting in the library of the Knickerbocker Club, one of New York City’s most exclusive men’s clubs, on East Sixty-second Street, just off Fifth Avenue. There were two others present. 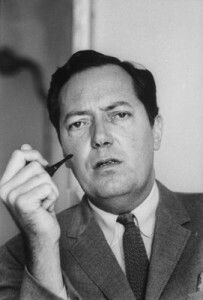 One was C. Frank Stone III, chief of operations for the European section of the CIA’s clandestine wing. The other was M. Clemard Joseph Charles, the general manager of the Banque Commerciale D’Haiti. This “contact report” was declassified in 1998 but went unnoticed at the time. The purpose of the 1963 meeting, it said, was to prepare for the impending arrival from Dallas of George de Mohrenschildt, who is described as a business contact of a Haitian banker identified as “Mr. Charles,” i.e., Clemard Charles. De Mohrenschildt was coming to New York to discuss mineral concessions in Haiti and the establishment of a sisal plantation there, the report goes on to say. It mentions nothing about de Mohrenschildt’s vast intelligence connections and makes only passing reference to his dealings in other natural resources such as oil and uranium. Nor is there mention of his long-standing ties to George H. W. Bush, nor of the fact that he periodically provided briefings to intelligence agencies on his return from trips abroad, as other government records show. Nevertheless, talking about sisal fit de Mohrenschildt’s normal cover: traveling in pursuit of strategic resources. Sisal was used in the manufacture of rope – a critical supply on naval and commercial vessels. Haiti was a good choice because it was of strategic importance to the United States as a point close to Cuba and therefore perfect for monitoring Castro and launching covert operations at the island. And de Mohrenschildt was perfect because he had a prior history with Haiti, having traveled there during the fifties, ostensibly to conduct business on behalf of various powerful oilmen. The second document describes de Mohrenschildt’s arrival the next afternoon, at the New York offices of the investment banking firm of Train Cabot, inside an entity code-named SALINE. This was in fact the covering organization for operation WUBRINY, and WUBRINY’s chief agent and operator, WUBRINY/1 – who was none other than Thomas Devine. Were this CIA report to pass into the hands of, say, a congressional committee, the staffer likely would skim it and move on. Nothing much seems to be happening. Indeed, one almost has the impression that the CIA officer and de Mohrenschildt were performing a piece of theater, with de Mohrenschildt hamming it up a bit with the over-the-shoulder glance. Or perhaps the officer made that up to enhance the overall effect, which is to establish distance between the agency and this supposed sisal investor. De Mohrenschildt comes off as a bit of a rube, fooled by the CIA man’s cover and believing that a legitimate business deal is on the table. The CIA document casts its own operative, the author of the memo, as dubious of de Mohrenschildt and his motives – and in no way involved with him. The result is a paper trail that acknowledges contact with the man who was also Oswald’s mentor, but in a totally different context, and in a way that permits complete deniability of the Oswald connection. groundbreaking original reporting. You can count on it. But can we count on you? We cannot do our work without your support.